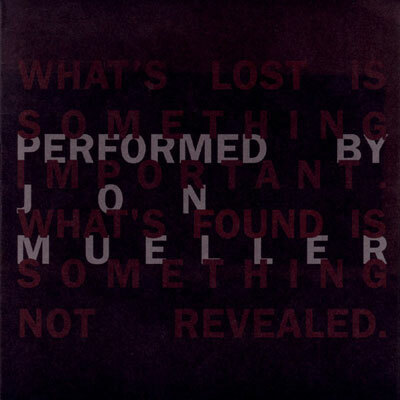 Home > Electroacoustic Noise > JON MUELLER : What’s Lost Is Something Important. What’s Found Is Something Not Revealed. JON MUELLER : What’s Lost Is Something Important. What’s Found Is Something Not Revealed. Originally released on CD in 2005 on the Crouton label. "Play at maximum volume in a large empty room." Packaged in a 7" sized folded card cover with a foam hub to secure the disc. The catalog number appears as 'Crouton No. 26' on the inner sleeve. The catalog number appears as 'CROUTON NUMBER 26' on the disc face.